“But when the Holy Spirit controls our lives He will produce this kind of fruit in us: love, joy, peace, patience, kindness, goodness, faithfulness, gentleness and self- control” (Galatians 5:22,23). One of my dear friends had a 25-year old son who had never grown past the baby stage mentally or physically. He had greeted the birth of his beautiful baby boy with great joy, but his joy turned to heartache and sorrow with the passing years as his son never matured. Unfortunately and tragically, many Christians never pass the baby or childhood stages. Think of the heartache and sorrow that God experiences when He looks upon those of His children who have never matured, though they have been Christians for many years. Maybe you are asking the same question, if so, it will be helpful for you to understand that the Christian life is a life of growth. Just as in our physical lives we begin as babies and progress through childhood into adolescence, young adulthood and mature adulthood, so it is in our spiritual lives. The Holy Spirit takes up residence within every believer at the moment of new birth. The growth process is greatly accelerated when a believer consciously yields himself to the lordship of Christ and the filling and control of the Holy Spirit. A believer who is empowered by the Holy Spirit and is a faithful student of God’s Word, who has learned to trust and obey God, can pass through the various stages of spiritual growth and become a mature Christian within a brief period of time. Some Spirit-filled Christians demonstrate more of the fruit of the Spirit within one year than others who have been untaught, uncommitted believers for 50 years. TODAY’S ACTION POINT: I am determined that I will become a spiritually mature Christian, in whose life the fruit of the Spirit will be demonstrated. Through the enabling of the Holy Spirit I will dedicate myself to prayer, reading the Word and witnessing, and living a life of obedience. “And Peter replied, ‘Each one of you must turn from sin, return to God, and be baptized in the name of Jesus Christ for the forgiveness of your sins; then you also shall receive this gift, the Holy Spirit. For Christ promised Him to each one of you who has been called by the Lord our God and to your children and even those in distant lands! '” (Acts 2:38- 39). “One day in New York – what a day!” declared Dwight L. Moody. “I can’t describe it. I seldom refer to it. It is almost too sacred for me to name. I can only say that God revealed Himself to me. I had such an experience of love that I had to ask Him to stay His hand. The Holy Spirit is the key to revival. He is the key to revival because He is the key to supernatural living, and apart from living supernaturally – living in the fullness of the Holy Spirit – the believer has no power to introduce others to Christ and help fulfill the Great Commission. The Holy Spirit is convicting many Christians of their lethargy, their coldness of heart and unbelief, the loss of their first love. A spiritual Mount St. Helens is about to erupt, spreading the good news of love and forgiveness of our Lord Jesus Christ far and wide through our land and the world. We shall see a resurgence in evangelism and a zeal unparalleled in church history as we endeavor – in the power of the Holy Spirit – to help fulfill the Great Commission. TODAY’S ACTION POINT: I shall ask the Holy Spirit to empower and control my life so that I may be a part of a mighty spiritual awakening to help fulfill the Great Commission, beginning in my home, community and church in obedience to the Lord’s command. In a few more years—I know not when, I know not how—the Holy Spirit will be poured out in a far different style from the present. There are diversities of operations; and during the last few years it has been the case that the diversified operations have consisted in very little pouring out of the Spirit. Ministers have gone on in dull routine, continually preaching—preaching—preaching, and little good has been done. I do hope that perhaps a fresh era has dawned upon us, and that there is a better pouring out of the Spirit even now. For the hour is coming, and it may be even now is, when the Holy Spirit shall be poured out again in such a wonderful manner that many shall run to and fro, and knowledge shall be increased—the knowledge of the Lord shall cover the earth as the waters cover the surface of the great deep; when his kingdom shall come, and his will shall be done on earth even as it is in heaven. We are not going to be dragging on for ever like Pharaoh with the wheels off his chariot. My heart exults and my eyes flash with the thought that very likely I shall live to see the out-pouring of the Spirit; when “the sons and the daughters of God again shall prophecy, and the young men shall see visions, and the old men shall dream dreams.” Perhaps there shall be no miraculous gifts—for they will not be required; but yet there shall be such a miraculous amount of holiness, such an extraordinary fervour of prayer, such a real communion with God and so much vital religion, and such a spread of the doctrines of the cross, that everyone will see that verily the Spirit is poured out like water, and the rains are descending from above. For that let us pray: let us continually labour for it, and seek it of God. For meditation: Spurgeon saw answers to his prayers in the 1859 revival. What are your visions for revival? Lots of excitement with extravagant claims that the Holy Spirit is involved? Or a genuine work of the Spirit which speaks for itself in real conversions, true fellowship and godly living (Acts 2:37-47)? God’s Spirit possesses three defining characteristics of personhood: intelligence, will, and emotion. Let me prove these points by guiding you to some New Testament verses, just as that doctoral student did for me. First Corinthians 2:10-11 explains that the Spirit knows God’s thoughts and illuminates the truth for us. Later in the same book, He is identified as the One who determines the spiritual gift(s) of each believer (1 Corinthians 12:7-11). Finally, the Holy Spirit’s feelings are revealed in verses like Romans 15:30, which tells of His love, and Ephesians 4:30, which warns against grieving Him. Consider also that Jesus spoke of a Helper who would come after Him (John 14:16, 26). Aiding and assuring others are the acts of a person, as is teaching—these are some of the Holy Spirit’s primary tasks. The Holy Spirit specially teaches to us Jesus Christ. It is the Holy Spirit who manifests the Saviour to us in the glory of his person; the complex character of his manhood and of his deity; it is he who tells us of the love of his heart, of the power of his arm, of the clearness of his eye, the preciousness of his blood, and of the prevalence of his plea. To know that Christ is my Redeemer, is to know more than Plato could have taught me. To know that I am a member of his body, of his flesh, and of his bones; that my name is on his breast, and engraved on the palms of his hands, is to know more than the Universities of Oxford or Cambridge could teach to all their scholars. Not at the feet of Gamaliel did Paul learn to say—“He loved me, and gave himself for me.” Not in the midst of the rabbis, or at the feet of the members of the Sanhedrin, did Paul learn to cry—“What things were gain to me, those I counted loss for Christ.” “God forbid that I should glory, save in the cross of our Lord Jesus Christ.” No, this must have been taught as he himself confesses—not of flesh and blood, but of the Holy Spirit. I need only hint that it is also the Spirit who teaches us our adoption. Indeed, all the privileges of the new covenant, beginning from regeneration, running through redemption, justification, pardon, sanctification, adoption, preservation, continual safety, even unto an abundant entrance into the kingdom of our Lord and Saviour Jesus Christ—all is the teaching of the Holy Spirit. For meditation: The Holy Spirit exercises a perfect teaching ministry (1 John 2:27); how good a pupil (disciple) are you? For meditation: The Holy Spirit produces self-control, not loss of control (1 Corinthians 14:32; Galatians 5:22,23; 2 Timothy 1:7). Over the years I’ve been part of various book groups. Typically, several friends read a book and then we get together to discuss the ideas the author has put forward. Inevitably, one person will raise a question that none of us can answer. And then someone will say, “If only we could ask the author.” A popular new trend in New York City is making that possible. Some authors, for a hefty fee, are making themselves available to meet with book clubs. How different it is for those of us who gather to study the Bible. Jesus meets with us whenever we get together. No fees. No scheduling conflicts. No travel expenses. Furthermore, we have the Holy Spirit to guide our understanding. One of the last promises Jesus made to His disciples was that God would send the Holy Spirit to teach them (John 14:26). The Author of the Bible is not limited by time or space. He can meet with us at any time and any place. So whenever we have a question, we can ask with the assurance that He will answer—though perhaps not according to our timetable. Lord, thank You that You are meeting with me right now. I want to be taught by You. I don’t want just to have more knowledge about You; I want to know You in the depths of my heart. When you open your Bible, ask the Author to open your mind and heart. INSIGHT: One role of the Holy Spirit in the life of the follower of Christ is that of a guide to help discern spiritual truth. In John 16:13, Jesus said, “But when he, the Spirit of truth, comes, he will guide you into all the truth. He will not speak on his own; he will speak only what he hears, and he will tell you what is yet to come” (niv). 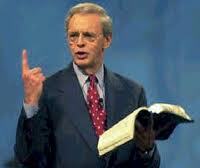 Charles Stanley –Why are men saved? Jesus Christ is the Saviour; but not more so than God the Father, or God the Holy Spirit. Some persons who are ignorant of the system of divine truth think of God the Father as being a great being full of wrath, and anger, and justice, but having no love, they think of God the Spirit perhaps as a mere influence proceeding from the Father and the Son. Now, nothing can be more incorrect than such opinions. It is true the Son redeems me, but then the Father gave the Son to die for me, and the Father chose me in the everlasting election of his grace. The Father blots out my sin; the Father accepts me and adopts me into his family through Christ. The Son could not save without the Father any more than the Father without the Son; and as for the Holy Spirit, if the Son redeems, do you not know that the Holy Spirit regenerates? It is he that makes us new creatures in Christ, who “begets us again unto a lively hope,” who purifies our soul, who sanctifies our spirit, and who, at last, presents us spotless and faultless before the throne of the Most High, accepted in the beloved. When you say, “Saviour,” remember there is a Trinity in that word—the Father, the Son, and the Holy Spirit, this Saviour being three persons under one name. You cannot be saved by the Son without the Father, nor by the Father without the Son, nor by Father and Son without the Spirit. But as they are one in creation, so are they one in salvation, working together in one God for our salvation, and unto that God be glory everlasting, world without end. Amen. For meditation: We are to be baptised in the name of the Father and of the Son and of the Holy Spirit (Matthew 28:19) in acknowledgement of the fact that all three persons of the Trinity have accomplished our salvation. Charles Spurgeon – Why are men saved? “You were sealed in Him with the Holy Spirit of promise, who is given as a pledge of our inheritance” (Eph. 1:13-14). The Holy Spirit is God’s first installment on your eternal inheritance. The Holy Spirit’s ministry in your life is multifaceted and profound. Among other things He brings salvation, conviction, guidance, and strength. He indwells and equips you for spiritual service and gives assurance of your salvation. He is your Helper and Advocate. He is the Spirit of promise, who seals you until the day when your redemption is fully realized (Eph. 4:30). Sealing speaks of security, authenticity, ownership, and authority. Ancient kings, princes, and nobles placed their official seal on documents or other items to guarantee their inviolability. To break the seal was to incur the wrath of the sovereign whom it represented (cf. Dan. 6:17; Matt. 27:62-66). A seal on a letter authenticated it as from the hand of the one whose seal it bore. Legal documents such as property deeds and wills were often finalized with an official seal. Those who possessed the sealed decree of a king had the king’s delegated authority to act on that decree. Each of those aspects of sealing is a picture of the Spirit’s ministry. He is God’s guarantee that your salvation is inviolable and that you are an authentic member of His kingdom and family. You are His possession—having been purchased with His Son’s precious blood (1 Cor. 6:20). You are His ambassador with delegated authority to proclaim His message to a lost world (2 Cor. 5:20). The Spirit is the pledge of your eternal inheritance (Eph. 1:14). The Greek word translated “pledge” in that verse (arrabōn) was used of down payment or earnest money given to secure a purchase. Rejoice in the assurance that God, who cannot lie (Titus 1:2), has given you His Spirit as a guarantee that He will keep His promises. Praise God for the security of your eternal inheritance. Praise the Spirit for His many ministries in your life. Be sensitive to His leading today so that your ministry to others will be powerful and consistent with His will. For Further Study; Read Esther chapters 3, 8. What role did the king’s signet ring play in the decree of Haman (chapter 3)? The decree of Ahasuerus and Mordecai (chapter 8)? “I advise you to obey only the Holy Spirit’s instructions. He will tell you where to go and what to do, and then you won’t always be doing the wrong things your evil nature wants you to” (Galatians 5:16). Major conflicts in life are resolved when, by an act of the will, one surrenders to the control of the Holy Spirit and faces temptation in His power. It should be explained that there is a difference between temptation and sin. Temptation is the initial impression to do something contrary to God’s will. Such impressions come to all people, even as they did to the Lord, and they are not sin in themselves. Temptation becomes sin when we meditate on the impression and develop a strong desire, which is often followed by the actual act of disobedience. For practical daily living, we simply recognize our weakness whenever we are tempted and obey the Holy Spirit’s instructions. When we do not yield to temptation, we breathe spiritually and resume our walk with God. “At what point does one who practices spiritual breathing become carnal again?” Whenever one ceases to believe God’s promise that He will enable us to be victorious over all temptations. The fact is, one need never be carnal again. So long as a believer keeps breathing spiritually, there is no need to live a life of defeat. The moment you realize that you have done that which grieves or quenches the Spirit, you simply exhale spiritually by confessing immediately, and then inhale as by faith you claim God’s forgiveness and the fullness of the Holy Spirit, and you keep walking in the light as God is in the light. TODAY’S ACTION POINT: I will consciously seek to obey the Holy Spirit’s instructions revealed to me in His holy, inspired Word. What does the Bible mean when it says that we are sealed with the Holy Spirit? In the apostle Paul’s day, when goods were shipped from one place to another, they would be stamped with a wax seal, imprinted with the signet ring of the owner. This was a unique mark of ownership. People could look at the crate, see its wax seal, and know they had better not open it. The same was true for a document from a king. It would be sealed in wax and imprinted with the royal seal. People knew that if they opened it and weren’t the intended recipient, they would be endangering their very lives. In the same way, God has put His royal seal on us: “Now He who establishes us with you in Christ and has anointed us is God, who also has sealed us and given us the Spirit in our hearts as a guarantee” (2 Corinthians 1:21-22). The seal is the presence and work of the Holy Spirit in our hearts and lives. Upon our conversion, we are sealed with the Holy Spirit. Let’s say that a thief wanted to steal a briefcase. Then he notices a nametag on it, bearing the name of a famous boxer. Most likely, the thief wouldn’t steal that briefcase. Why? He would be afraid of what would happen. He doesn’t want to suffer bodily harm. In a similar way, the Devil wants to come and destroy us as Christians. He wants to wreak havoc in our lives. But he sees our ID tag: “Owned by Jesus Christ. Sealed and insured by the Holy Spirit.” So he backs off because he fears the One to whom we belong. Why has the Spirit come into this world? What does God’s Holy Spirit want to do in the life of the unbeliever? The Holy Spirit is very involved in the actual work of conversion. You see, before we were Christians, it was the Holy Spirit who convicted us of our sin (see John 16:8). Another way to translate the word convict in John 16:8 is “convince.” Notice this verse doesn’t say that He will convict the unbeliever of a specific sin. Rather, He wants to convince him or her of sin in general, the root cause of all sins. Now, we can try to produce in someone a sense of guilt and wrongdoing. In an effort to help the conversion process along, we want to make them feel really bad or guilty about something. (Mothers seem to have an unusual ability in this area.) But only the Holy Spirit can effectively produce a guilt that will bring a person to their senses. Sometimes we get in the way of someone’s conversion. We get impatient, or we try to assist the Spirit. We can be telling someone about the Lord, maybe a friend or a coworker or a family member, and as they become interested and start asking questions, we start trying to convert that person in our own strength. We try to complete the transaction while the Spirit is still working. The best thing we can do after we have shared the Word of God with someone is to simply pray that it takes root. We should just do our part and leave it in the hands of God. We don’t need to force the issue. He will do the convincing. Let God’s Spirit do His work. After His mother Mary was betrothed to Joseph, before they came together, she was found with child of the Holy Spirit (Mt. 1:18 NKJV). Joseph was perched firmly on his branch in the tree. Predictable and solid, Joseph had no intention of leaving it. That is, until he was told to go out on a limb. Pride told him not to do it. But God told him to do it. I have a feeling you can relate to Joseph. One foot in your will and one foot in His. His will or yours? Disrupting, isn’t it? You can bet it won’t be easy. Limb-climbing has never been. Ask Joseph…or better yet, ask Jesus! He knows better than anyone the cost of hanging on a tree! I am convinced that if Christians truly understood what takes place during prayer, they would call upon the Lord more often and with greater results. The believer’s prayer isn’t simply spoken into empty space; the Holy Spirit is there to guide us in offering God-centered requests, to fill in words we fail to say, and to carry our needs before the Lord. The Holy Spirit is part of the Trinity, so He knows the mind of God intimately (1 Cor. 2:11). Since He, like the Father, is omniscient and omnipotent, He fully grasps the circumstance we are praying over—even the parts that remain unseen or utterly confusing to us. Also, the Spirit dwells within every believer and knows each one’s mind and heart. With this full knowledge, the Holy Spirit can carry out His responsibility to make our petitions match God’s desires. To that end, He speaks in our spirit and opens our mind to Scripture. The fact that God gives His Spirit to all believers reveals the value He places on communication between Him and His children. Our Father provides the best possible Helper to ensure that we can be prayer warriors—wise, strong in faith, and fully yielded to Him. But we are none of those things unless we are habitually talking with the Lord. Christians never have to feel guilty for being uncertain about how to pray. The indwelling Holy Spirit knows our needs and desires—as well as the mind of the Father and the details of every situation. He speaks to God on our behalf while teaching us to pray in accordance with the Father’s will.